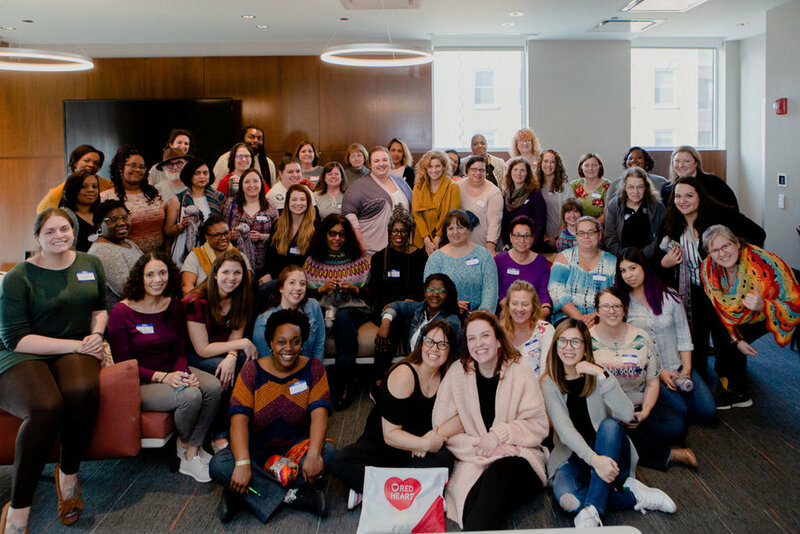 Stitch Up Chicago 2019 has come and gone and was AMAZING! Recap coming soon! STITCH UP CHICAGO 2020 IS ALREADY BEING PLANNED! 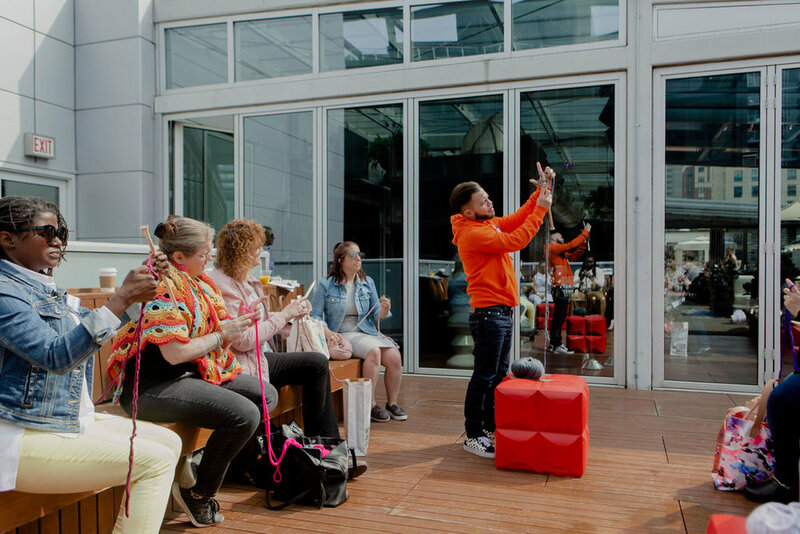 Stitch Up Chicago began in 2017 when Michele Costa, founder of the blog Stitch & Hustle, wanted to bring her online friends together offline for a night of fiber and fun. 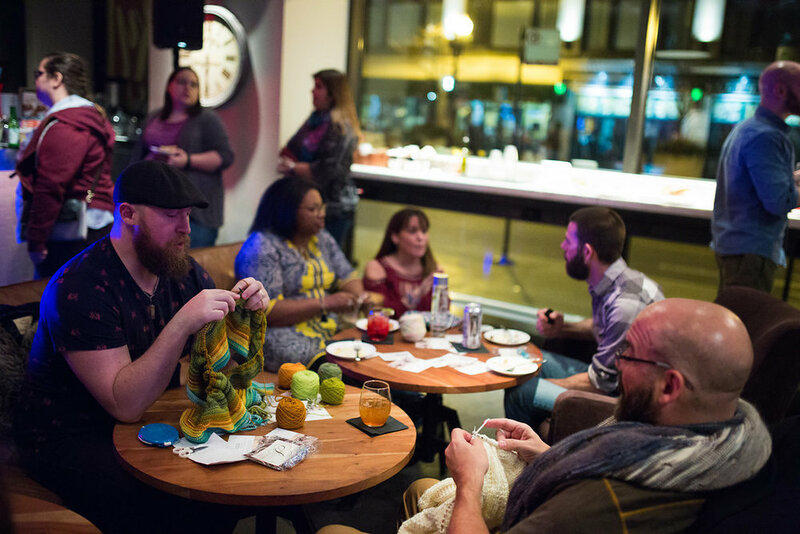 Unexpectedly, the small friendly get together outgrew the planned coffee shop gathering into an event and Stitch Up Chicago was born. 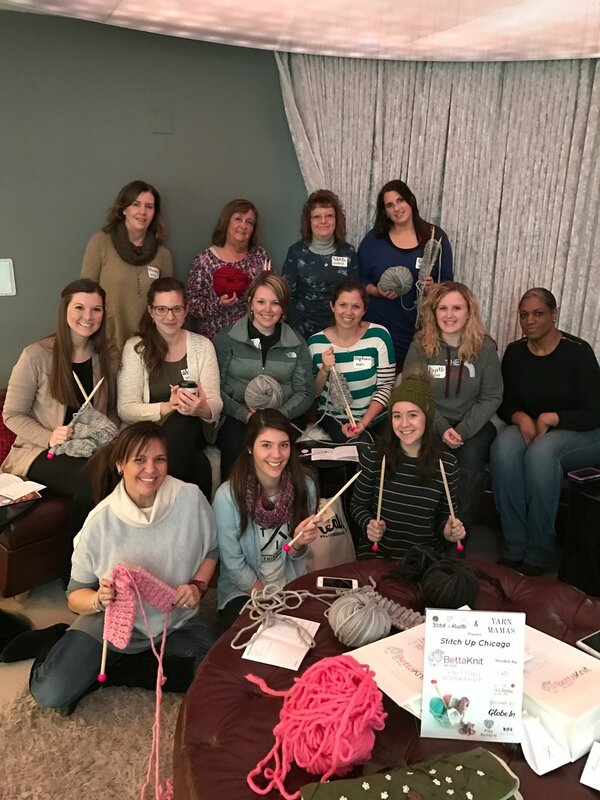 Now, having an incredibly successful third year, Stitch Up Chicago is growing again with the launch of Stitch Up Events. Chicago will always be where it all began and so very special, but Michele heard loud and clear when the community asked for this to expand to other cities. Next up Michele is going home to New York City and launching Stitch Up Brooklyn! 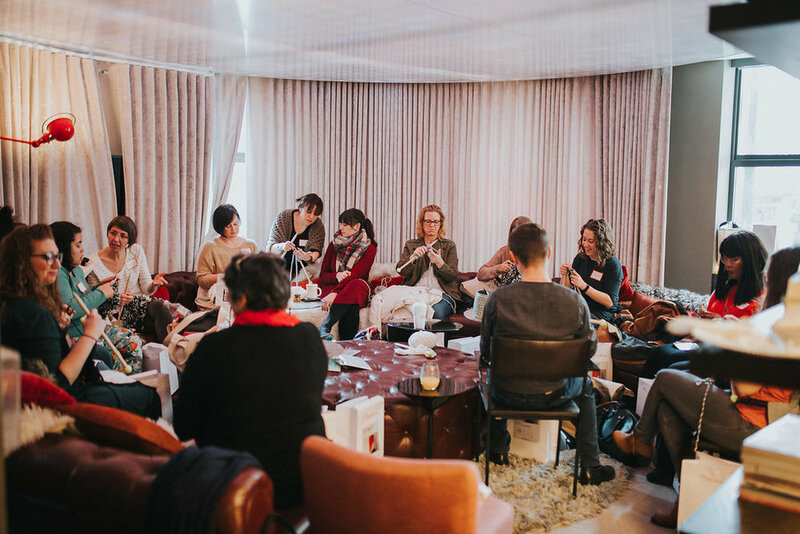 Stitch Up Events are not a marketplace for shopping or a classroom for learning. Stitch Ups are not just a casual gathering of fiber enthusiasts. 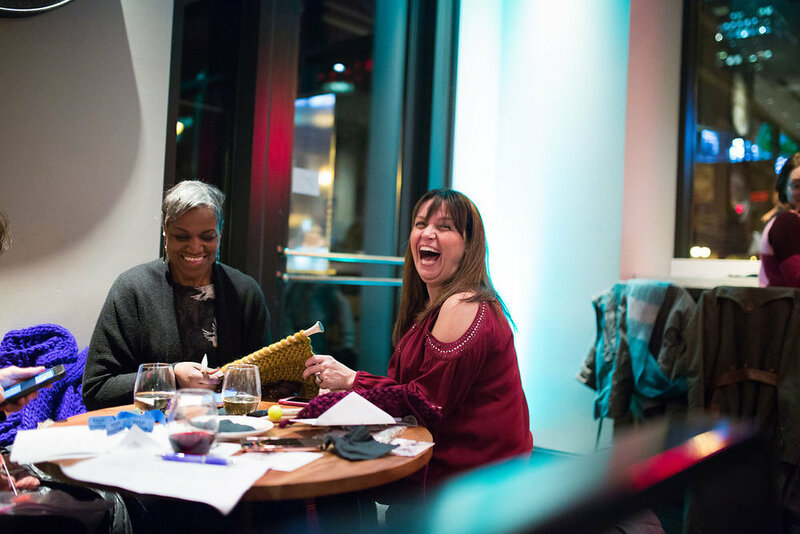 Stitch Up Events are where fiber enthusiasts can come together and celebrate our passion for fiber arts. 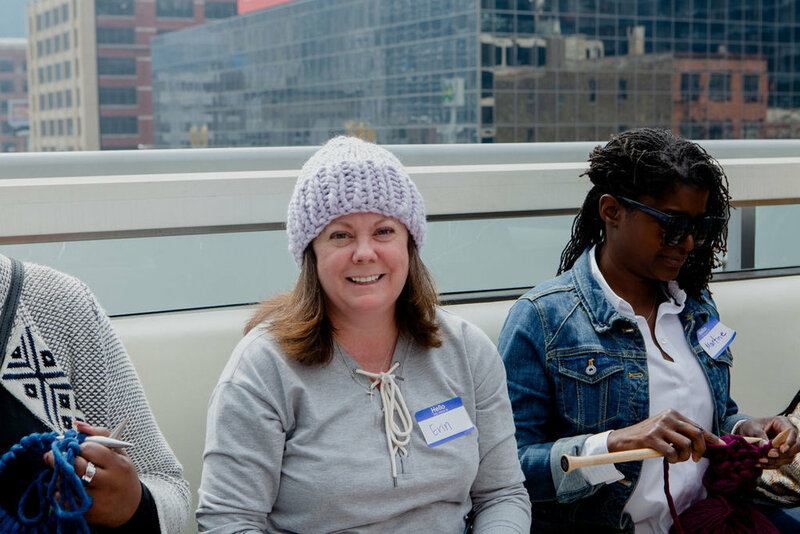 Whether you knit or crochet, both or neither, if you want to be part of the fiber family then this is the place for you. Stitch & Hustle is all about the community of makers and small business owners. We encourage offline support and growth as much as online. Connecting is how we all thrive. 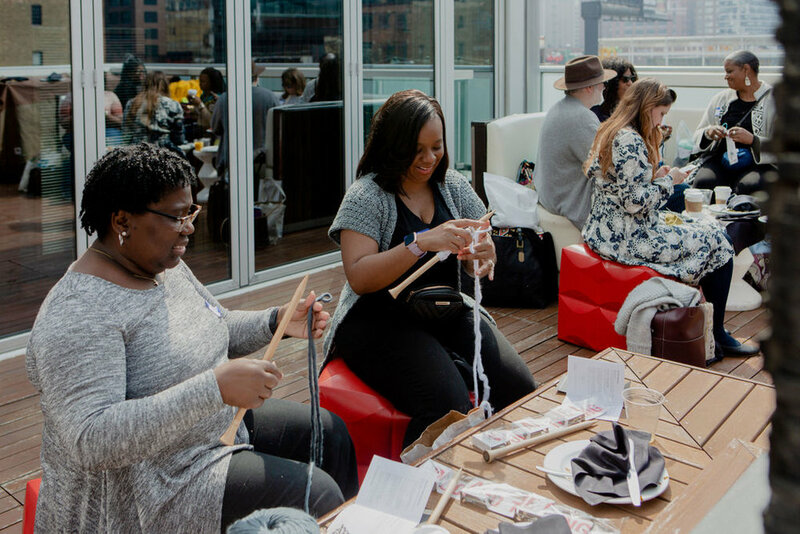 Read about our first event, Stitch Up Chicago here. 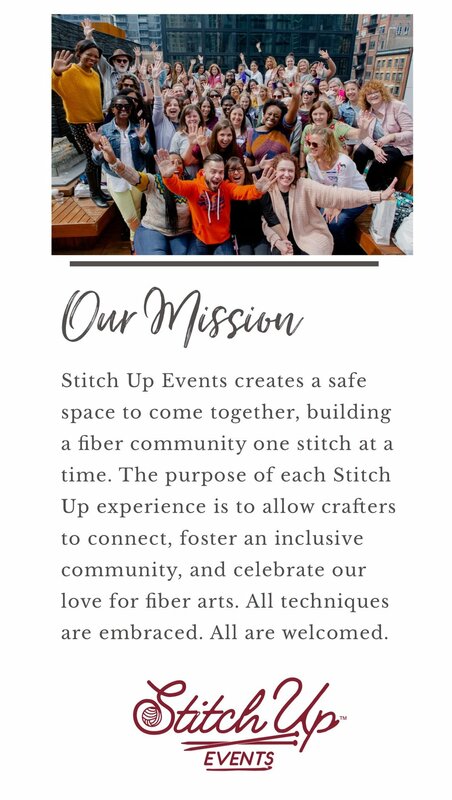 Stitch Up Events is for the community. First. It is a wonderful way to get your products into the hands of your direct target market. 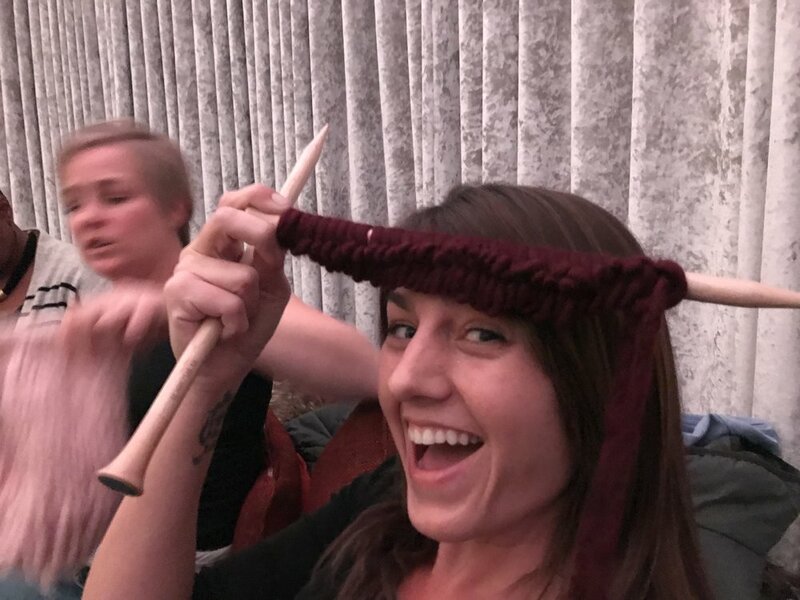 If you are in the fiber industry or a yarn company and would like to get involved and reach your audience by sponsoring a Stitch Up Event please reach out to Michele here.